​​ FLOWER MOUND, HUMBLE – Caddis Partners LLC has acquired three medical office buildings (MOBs), two of which are in DFW and Houston. The MOBs purchased are Prairie View Medical Plaza in Flower Mound and Atascocita Medical Center in Humble. Prairie View Medical Plaza is 100 percent leased. 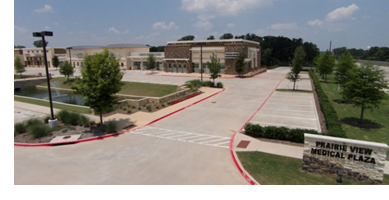 Atascocita Medical Center is a 30,960-sf building at 17,903 West Lake Houston Pky. in Humble.